The Skirt at Ortega y Gasset Projects is pleased to announce Saxon Corner, a site specific installation by Jim Osman. 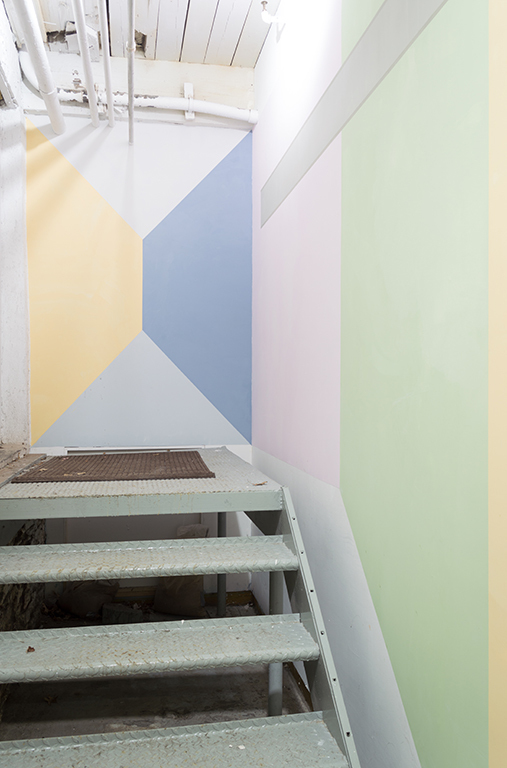 Using pigmented plaster, Osman creates Wall drawings that compress different kinds of space. The vessels that give these spaces form can be clear and tangible like architecture and furniture or symbolic like a flag or just formal -- a color. Combining these forms makes for odd, unthought-of arrangements that once started must be reconciled formally, all the while staying true to a notion of space that is convoluted, dense, and opaque yet somehow understood.